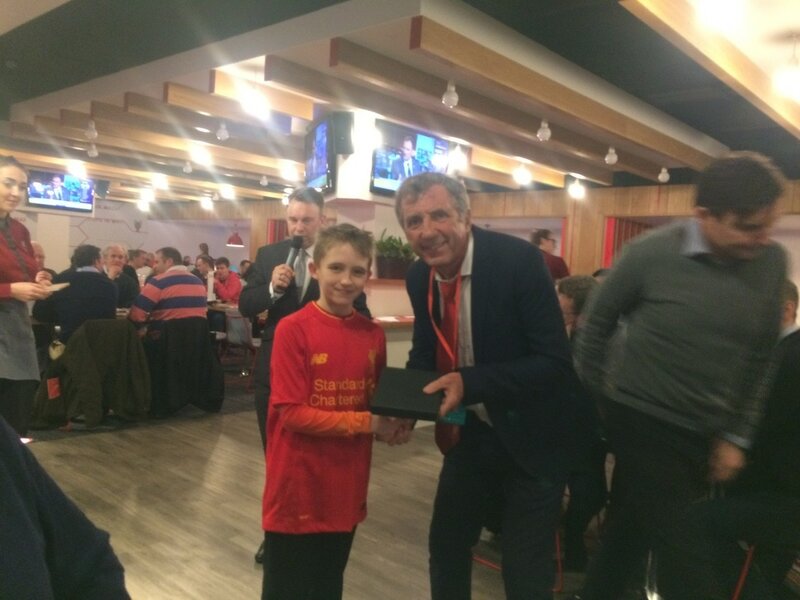 Two time European cup winner Alan Kennedy presenting CFA U11 athlete Christopher Gregory with an award for winning the keep up competition at the Anfield fan zone in Liverpool. Next FUNdamentals courses start FEB 5 - book now! 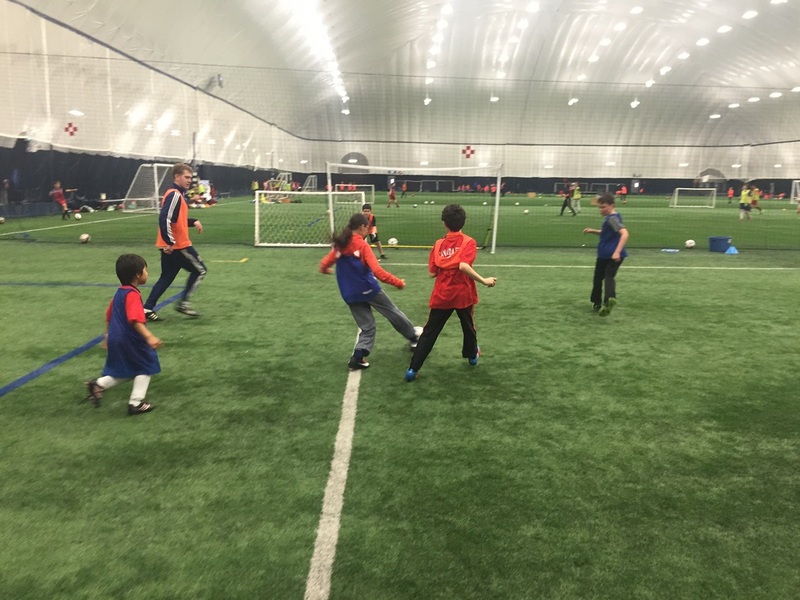 The small sided games will continue on WED 5.30pm to 6.30pm, starting WED FEB 8. 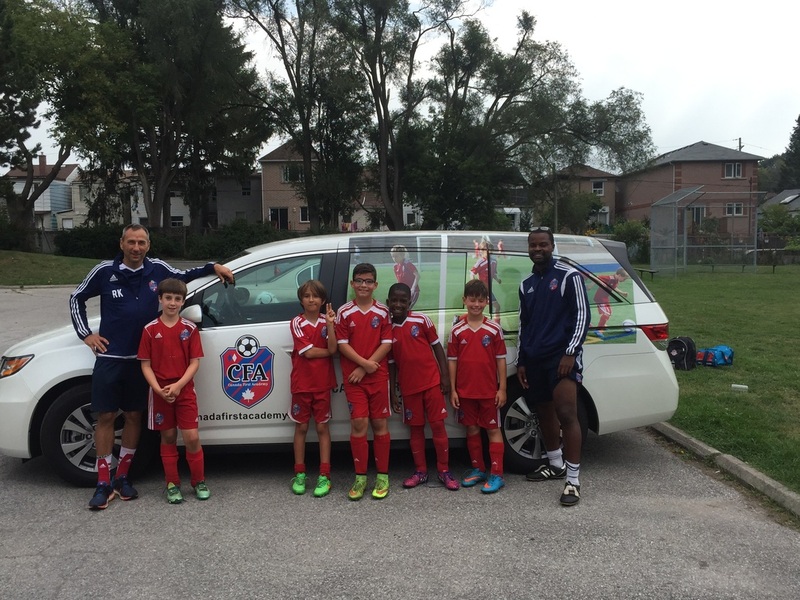 CFA has started a weekday training shuttle service to pick up players at home or at school and bring them to our training facility. The children specialized service KidsKoolTrans guarantees a safe and kids friendly transport and delivery to our coaches. Enjoy the hassle free drop off and pick your child up after practice. 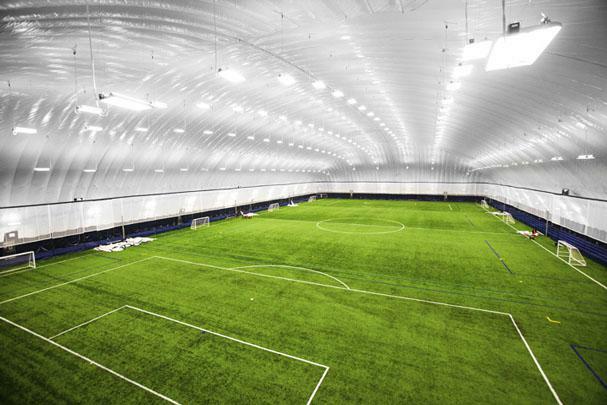 FUNdamentals Indoor Program with new Sunday time slot 10am to 11am and additional space! We are happy to announce additional field capacity for our FUNdamentals program. This indoor season the start of the Sunday courses changes to 10am. CFA welcomes 2 new coaches to the coaching team. Simon Adjei and Alhasan Shanti will work with the Junior Teams. 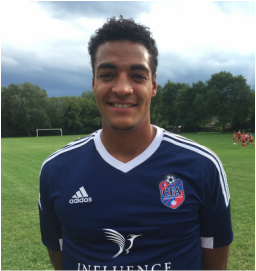 Simon joined us from Sweden where he played professionally for the swedish club Husqvarna FF. 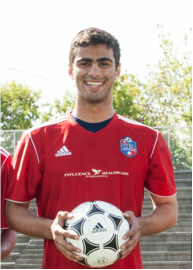 Alhasan has been a CFA Athlete for many years and has always been a leader and role model for our players and studies at York University. 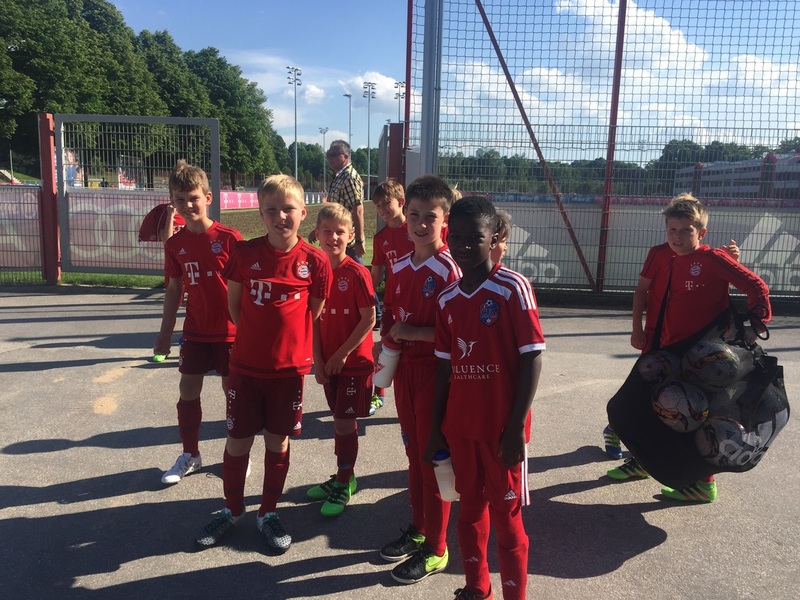 CFA U10 athletes Kristjan Fortier and Kaleb Khemet spent a week at the Bayern Munich training grounds accompanied by parents and CFA staff. 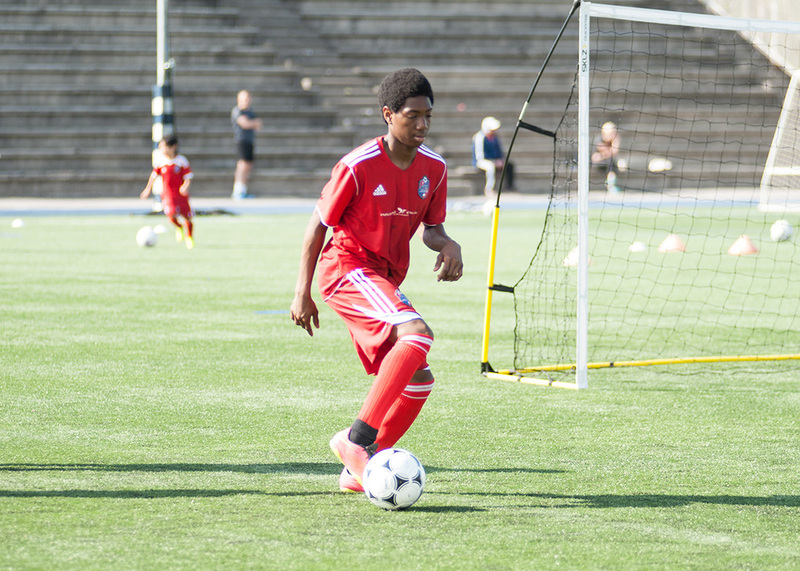 We had the the opportunity to experience the Bayern Munich Junior Team training and learn from the best. It was a wonderful experience for all participants and we express our warmest thank you to the FC Bayern Junior Team for inviting us. 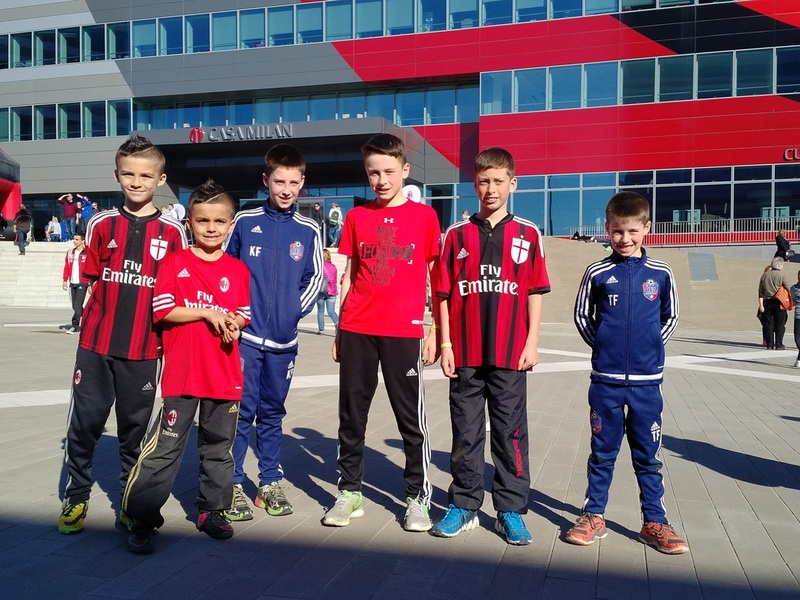 CFA congratulates Kristjan to a great performance at an AC Milan tournament for players from different countries representing their national colours in a weekend tournament in Milano, Italy. Kristjan's team made it to the semi finale. Well done! 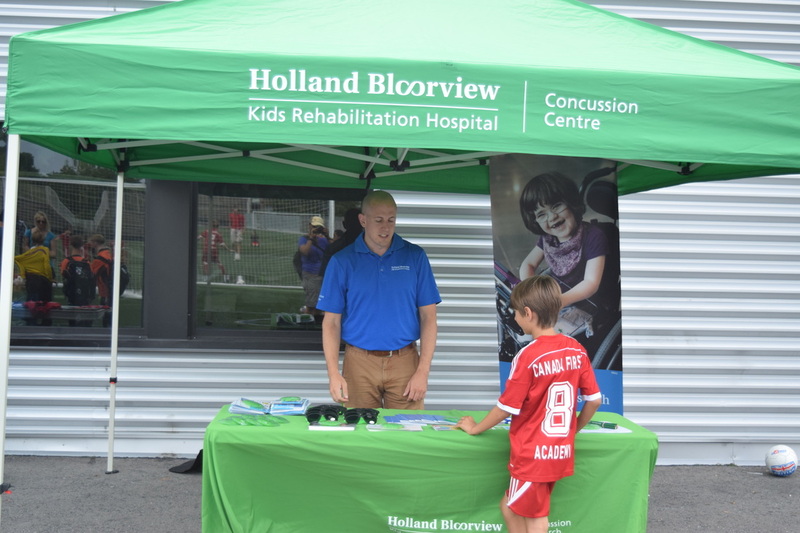 We would like to thank all our sponsors, donors, Holland Bloorview Kids Rehabilitation Hospital Foundation, Monarch Park Stadium, guest teams and all CFA families for their help and generous support of CFA 4v4 FOR KIDS. CFA proudly presents its brand new CFA mobile. Watch out and bring a photo on your phone for the month of September and receive one free training session.